Lennon was uncertain as to how to capture on tape the way he heard the song in his head, according to Mark Lewisohn’s The Beatles Recording Sessions 1962-1970. 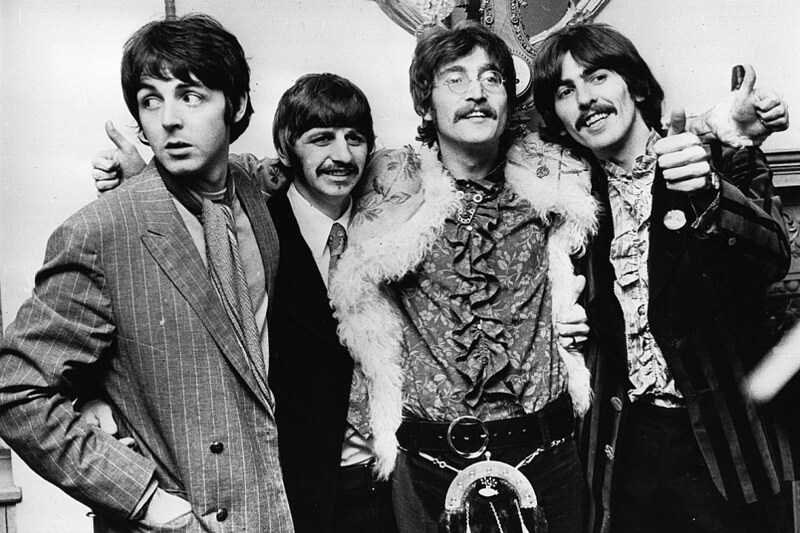 As recording proceeded, a variety of instruments and techniques were tried, including producer George Martin on organ, Lennon on mellotron and backwards bass and drum tracks before the final vision took shape. Sessions were wrapped up a few short days later on Feb. 8. The original recording features an interesting assortment of instruments including svaramandal, tambura, violas, and cellos, in addition to guitars, bass and drums. “Across the Universe” was going to have been the band’s next single, to be released while they were off on their visit to India. Ultimately, McCartney’s “Lady Madonna” won out as the A-side, with the George Harrison classic “The Inner Light” on the flip. This left “Across the Universe” in need of a home, which it finally found in late-1969 as part of the World Wildlife Fund charity album, No One’s Gonna Change Our World. That was not, however, the last we’d hear of the song. Both the original and the Spector Let It Be version have their merits, and though it’s hard to say which one wins, there is something about that first one that is missing from the Spectorized version.